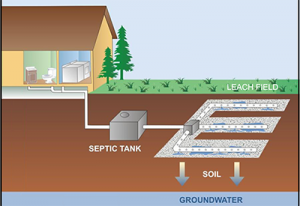 Maintaining your septic tank is not just for those who live in rural areas. Even homeowners in urban parts of the lower mainland should ensure they take adequate care of their septic tank to prevent contamination of groundwater. A failing septic system can also lead to foul odor and soggy lawns. To prevent a full-blown disaster, it helps to know how to maintain your septic tank. Here are 3 easy tips you can do to maintain your septic tank. Watch What You Put In The Toilet. The above items can clog the system and adversely effect the bacteria balance that breakdown the human waste. Grease can clog your septic field and the soil will find it difficult to absorb the liquid. If the septic field gets clogged, you will need to find a new one and that can be a costly undertaking. If your septic field gets soggy, it won’t be able to absorb liquids. Make sure the run off from your eaves troughs and downspouts are away from the field. Plan your home foundation and landscaping in such a way that there is no risk of rainwater soaking into the field. Do not drive a vehicle over the septic field. It may cause significant damage and the repairs will be costly. EdenFlo is the trusted provider of septic tank pumping in the lower mainland. When you pump your tank or septic field with EdenFlo, you know you are getting the best service. 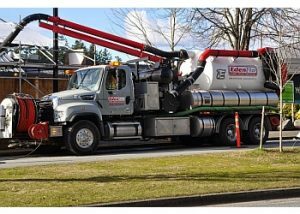 Whether your septic service needs are in Vancouver, Aldergrove, Surrey, Langley, Burnaby, New Westminster, Delta or White Rock, EdenFlo can provide pumping service for you. We will also over a complimentary inspection of your system while we are there. 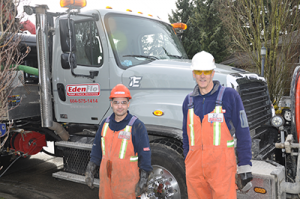 Give us a call at 604 575 1414 or email us at service@edenflo.ca to book your next septic service. This entry was posted in Septic Tanks and Field Cleaning and tagged aldergrove septic tank cleaning, Aldergrove septic tank inspection, b, best septic service Langley, Best Septic Service Lion's Bay, Best Septic service Lower Mainland, Best Septic Service Richmond, best septic service Surrey, Best Septic Service Vancouver, Best Septic Tank Service, Best Septic tank service Delta, Best Septic tank service White Rock, Pump Septic Tank Aldergrove, Pump Septic Tank Burnaby, Pump Septic Tank Delta, Pump Septic Tank Langley, Pump Septic Tank New Westminster, Pump Septic Tank Surrey, Pump Septic Tank White Rock, Tips to maintain your septic field, Tips to Maintain your septic tank on May 7, 2018 by Edenflo.